Doug the black Labrador is just a pup when he comes to spend a year with George and his foster family. Afterwards, Doug will become a guide dog for a blind person. Since George has problems with his eyes, it’s possible that he will need a dog guide one day. 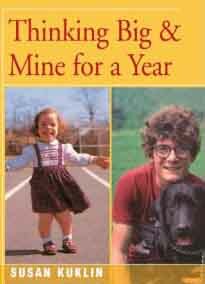 Mine for a Year is a remarkable true story of a boy and a dog.